What can you do with CPaaS? Communication trends and the demands of customers are moving at a rapid pace today. Your clients expect more from you than ever before, and if you’re not able to deliver, then you could risk losing revenue to your competitors. The good news is that the days of having to rip and replace communication stacks to suit new technology could be over. With creative design, a little innovation and effective planning, businesses can now do things with CPaaS that would have been impossible without the support of APIs (Application Programming Interfaces). Keeping up with the competition no longer means having to spend a lot of time and money on a new implementation. Even more exciting? We’re only just beginning to tap into the actual abilities of CPaaS. The functionality of this new technology will only increase as organisations integrate it with emerging technologies like artificial intelligence and machine learning. Let’s explore some of the benefits of CPaaS. Sometimes regarded as the next level of unified communications, CPaaS makes it easier to integrate the latest immersive communication solutions into existing applications, allowing companies to unlock the concept of “communications-enabled business processes” (CEBP). Communications Platform as a Service solutions are based on the cloud, which means that developers can easily embed new strategies for connectivity into their own systems and applications using APIs. In some studies, 85% of high-performing companies believe that the use of APIs is crucial to growth. Development teams can access these APIs and CPaaS to accelerate time to market, improve productivity in the workforce, and increase the satisfaction of their customers. While in the past, it was an expensive and time-consuming process to develop custom applications for the workforce, CPaaS makes it easier to unlock the true potential of your communication strategy, whatever your organisation needs. Cost savings have always been one of the biggest benefits of cloud-based solutions. With cloud services, companies can easily save money on infrastructure and resources, scaling their systems as and when they need to. With CPaaS, there are no upfront implementation costs to worry about, and many CPaaS providers offer packages and applications in a pay-as-you-go format, which means that developers only pay for what they use. The flexible nature of CPaaS and the payment schedules associated with it means that organisations can benefit from all the new additions they need for their communication strategy, without overspending. There are various ways in which CPaaS can help companies to improve their marketing and drive additional sales. For instance, with a CPaaS solution, a company in the healthcare sector could implement an SMS strategy that sends automated messages to customers reminding them of appointments. This would reduce the number of wasted hours in a clinic or practice. Alternatively, a retail company could use the same SMS API to let customers know about sales and promotions. CPaaS also helps to drive sales and retain customers by ensuring that businesses stay ahead of the curve with innovation. As innovation continues to happen at a rapid rate throughout the world, new technologies lead to new demands from customers. Keeping pace with the expectations of your target audience means being able to evolve and adjust quickly. CPaaS offers a highly flexible solution for future-proofing which provides greater scalability and reduces time to implementation. Enterprises using CPaaS can consistently evolve their engagement channels to suit the needs of their growing customer base. Speaking of keeping up with customer expectations, CPaaS enables enterprises to reduce fragmentation throughout the customer journey by combining video, voice, and text functionality within existing communication processes. CPaaS APIs allow for a deeper integration of communication capabilities ranging all the way from chatbots and IVRs in contact centres, to customer-facing applications that allow for solutions like click-to-call. Some companies even use their CPaaS solutions to implement self-service strategies into their applications so that they can reduce the strain on their agents and give customers more freedom to choose their own path to resolution. As customer experience continues to be the defining characteristics of today’s most successful companies, CPaaS allows businesses to respond to the needs of their target audience with the services and solutions they want most. Whether it’s implementing an omni-channel contact centre, or simply embedding new functionality into their existing unified communication stack, today’s firms can access the full breadth of communication possibilities with APIs. The Future of CPaaS: What’s Next? Despite the apparent benefits of CPaaS, we’re still only in the early stages of what communications platform as a service technology could do. Other advancements in the tech world will continue to enhance what’s possible. For instance, artificial intelligence is a great example. Already, we’re beginning to experiment with robots in the call centre that can assist with voice-directed call routing and problem-solving. Smart shopping assistants in the retail environment could be embedded into instant messaging strategies to help upsell and cross-sell products to customers based on their browsing history. Analytics services within CPaaS platforms can help businesses to unlock more useful information about the buyer journey. APIs could even provide CPaaS video chat technology capable of facial recognition to act as a biometric security strategy. Perhaps the most appealing thing about CPaaS in the communication space is that unlike other innovations, it’s so easy for companies to get involved. Any organisation can jump in and take advantage of CPaaS with minimal upfront expense, and they can keep their costs low by only paying for what they use. 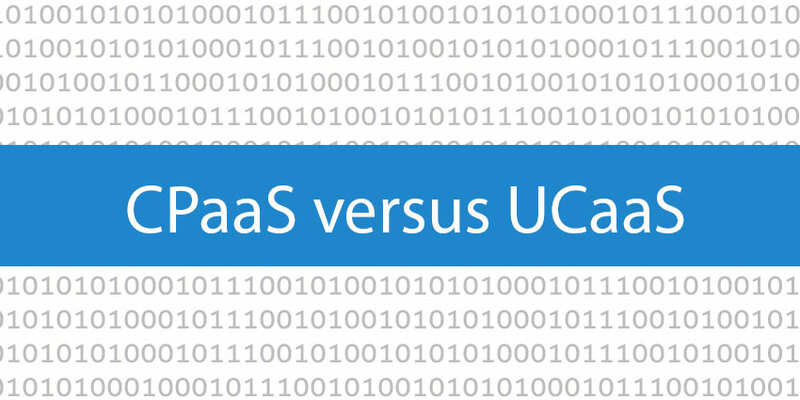 Even small, digitally-focused companies can leverage CPaaS to compete with bigger enterprise brands. With things like CPaaS at the helm, it’s no wonder that the communication journey is changing course.